Today, I share the story of how one Sydney based real estate agent found himself joining the multi-million dollar listings club, whilst dealing with one of the hardest sales negotiations he’d ever had to navigate. 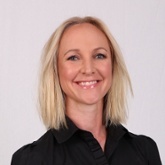 I recently judged the REB Awards Property Marketing Campaign of the Year. It was a great opportunity to hear some remarkable real estate agents’ stories. One agent who particularly stood out for me was Eddy Piddington. His submission was impressive because it took me on a journey, with an engaging and exciting story about the ups and downs of the property campaign for his first multi-million dollar listing. The techniques he used and the ways he overcame the hurdles was inspiring, and his storytelling ability is bound to secure him future listings. So, I’d like to share Eddy’s story with you today. 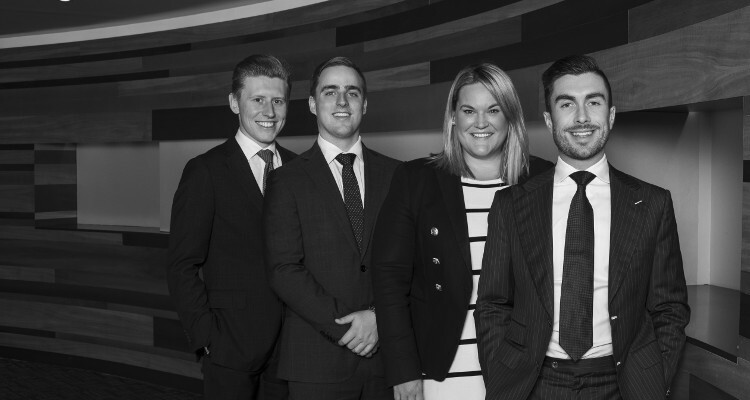 Eddy Piddington was a young real estate agent new to the Manly area when he secured his first ever multi-million dollar property. He had very few contacts in the area and had just joined a new real estate agency. Fortunately, a previous client looked him up. 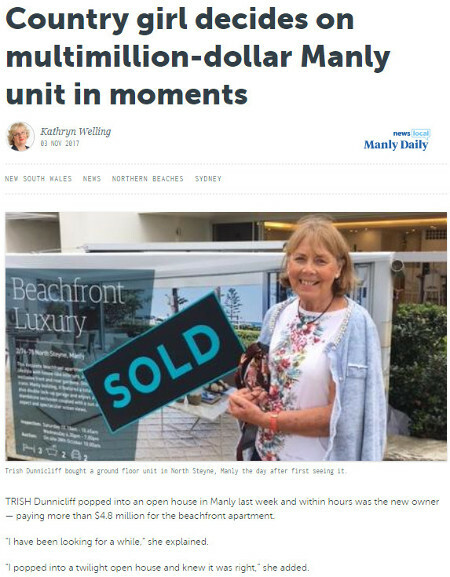 She had been really impressed with Eddy’s work for her and recommended him to her mother, who wanted to sell her beachfront apartment in Manly. There were no guarantees that her mother would choose Eddy over a more experienced agent. He had to work hard to convince her of his merits but he succeeded. The apartment was in a totally different league to the properties he’d previously sold. Still, he knew he could do it. This sums up the conflicting feelings often associated with a major real estate marketing campaign. Rising to the challenges is key to the success of your real estate business. When you land your dream listing, it might not run as smoothly as you hope. But hard work and determination can set you apart as an agent, helping you to build the reputation of your real estate business. Eddy had to overcome a number of hurdles after securing the Manly apartment but found clever solutions to each problem he faced. Before the campaign even started, Eddy discovered that the entire apartment block was about to be repainted. He would have just four weeks to prepare and market the property, find the right buyer and exchange contracts before the whole building was covered in scaffolding. Eddy overcame this by attending a meeting with the strata committee. He negotiated with them and convinced them to delay the start of the renovations by an extra two weeks. The seller’s furniture was so dated that the apartment simply wouldn’t attract the right buyers. Yet several other real estate agents had previously told her she didn’t need to make any styling alterations. This meant Eddy needed to overcome his client’s objections. His persuasive approach resulted in a $10,000 Coco Republic makeover for the apartment. He also found the seller a rental property so her apartment could remain styled for the entire duration of the property campaign. At around the same time Eddy’s property marketing campaign began, several competing properties of a similar or higher standard came onto the local market. Eddy knew he had to do things differently to make his campaign stand out from the rest. Eddy knew the apartment ground floor position and beachfront location would attract downsizers. He alerted the franchise network along the North Shore and soon found interested buyers that way. Eddy invited VIP clients, buyer agents and top buyers to an evening champagne reception at the apartment to showcase its beauty at that time of day and sell the lifestyle of the property. Eddy realised the property appealed to local executives, who tend to leave for work early and return home late. To capture their attention, he installed a light-up signboard which could easily be seen 24 hours a day. Eddy’s signboard captured the attention of a local buyer, who he then invited to the Twilight Experience. She was prepared to pay a higher price for the property than could be achieved at auction. Because of this, Eddy chose to offer a closed tender to all interested buyers. His client would then be able to select the offer she liked best. I’m sure many of you have faced your share of difficult buyers. Eddy’s highest bidder decided to play “hard to get”, refusing to sign the contract or answer the phone. Even when he drove to their house, they said they needed more time to think about it. Eddy needed to protect his client so he decided to negotiate with his second highest bidder, the local who had seen the light-up signboard. She loved the apartment so much that she was prepared to put in a second bid which fortunately became the highest bid offered. The contracts were exchanged, and at just before midnight, the “Sold” sticker was put on the board. This included lifestyle imagery and drone footage, in addition to showcasing the apartment. Eddy made the most of digital marketing channels such as social media, as well as distributing the video to media contacts, buyer agents and real estate agents in and out of the local area. This showcased the beachside location at its best. These enabled out-of-area and international buyers to get a true feel for the property. Eddy marketed the apartment on Facebook and Instagram to target a younger market that no longer engages with print. Eddy used his media contacts to gain editorial exposure for the property in the newspapers, telling the story of the apartment with photographs of the owner. Following the sale of the property, Eddy shared his remarkable story with the media, raising his profile as a real estate agent. All of this demonstrates not only Eddy’s commitment to his client, but also the impressive way he negotiated the new landscape of the real estate business. By selling the property as a lifestyle and making the most of social media marketing, he was able to reach out to aspirational buyers in a friendly and informal way. So, the story overarching message is that if you go over and above for a client, they will become clients for life. So will their family and friends! These are the people who are likely to be the source of your word-of-mouth referrals. That one awesome property sales result gives you a story to tell, which has a snowball effect on future listings.